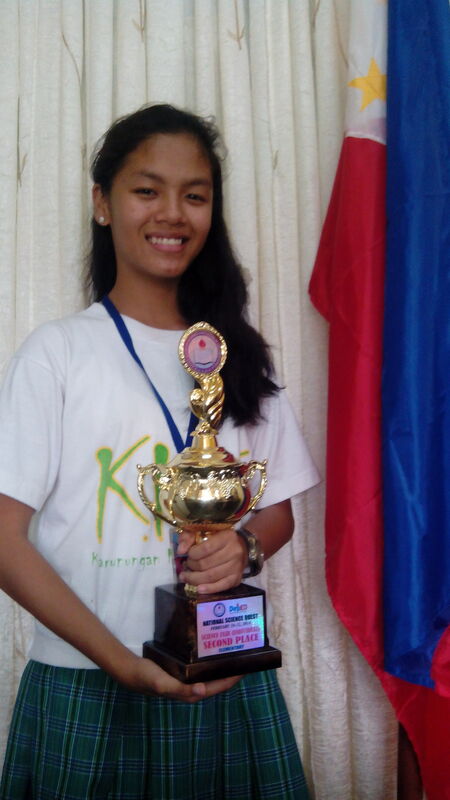 Sophomore Elaine Grace Z. Plaga bagged the 2nd Place in the Life Science Category of the National Science Fair. Plaga presented her research on the potential of Bacillus subtilis as biological control against crown rot in banana, alongside thrity-eight projects from all over the country that competed in the life science individual category for cluster 2. The competition was part of the National Science Quest held at the Teacher’s Camp, Baguio City last February 10-12, 2014. Plaga was coached by Michelle L. Pardillo. Posted in Achievements, News and tagged research.